One of the key searches for the Ten Percent Legal Recruitment site is for interview questions and strategies for lawyers and legal and interviews. This article covers the various resources available on the Ten Percent sites and also external sites. The main location for interview questions on the Ten Percent Site is the Top 100 Interview Questions for Lawyers which can be found here. This page contains 100 questions used by law firms up and down the country and also refers to sources for suggested answers in places. We know that these questions are used by law firms because they telephone us to ask permission from time to time to print them off. We have also been advised by candidates going for interviews that the questions have been on the table in front of them. Other sources on the internet include http://www.wikijobs.co.uk/ and http://www.interview-skills.co.uk/. We strongly recommend the latter website because it contains over 200 questions in a competency based interview scenario, a technique most commonly used in local authority interviews. All of these questions are wonderful, but they are no good at all if you do not do anything with them and this is the key point with searching for interview questions. You should do more than just look at them, you need to practice out loud answering them and get someone to listen to your responses. For further advice on interview techniques please see below. There are lots of resources on the internet offering interview practice both generally and also in specialist areas. We hold our interview practice sessions in Chester, London, Milton Keynes, Lancaster and Carlisle, and telephone interviews from all over the world (we have had clients in New Zealand, Australia, USA and China). The feedback from these sessions has always been very good, although one of the questions we are often asked by people looking to purchase the service is what our success rate is. The answer to this is that we do not have a success rate because it does not necessarily follow that as a result of our interview session someone has got a job. We do get e-mails from time to time from people thanking us for the service and saying that they found a job pretty quickly after practising their interview technique with us, but there are no figures available for this. All the interview answers we suggest or we discuss can be found at http://www.legalrecruitment.blogspot.com/. 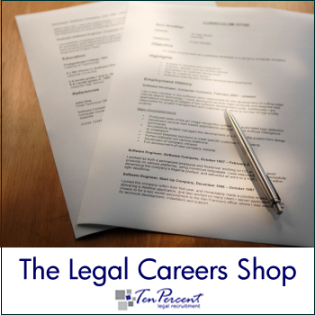 Over the years we have been quite prolific in collating together suggested answers or discussions of answers for specific legal job interviews and you can get these by looking at the key words down the right hand side of the page. Most of the interview answers start with interview answers, but feel free to browse through and see what you can find. Firstly Ten Percent Legal Recruitment sell a book called The Complete Interview Guide for Lawyers. This is available online or you can telephone our offices to order a copy. This is our comprehensive guide to interview technique and strategy and is suitable for lawyers as well as law students and graduates. There are also numerous discussions available on the http://www.lawyer-recruitment.co.uk/ website, the http://www.legal-recruitment.co.uk/ website, the http://www.ten-percent.co.uk/ website (careers centre) and also on these pages. We hope in future to collate all the information we have gathered over the years and put it in one place on the Ten Percent site together with a forum for interview discussion, but this involves having plenty of time and we are not quite there yet! Ten Percent Legal Recruitment (http://www.ten-percent.co.uk/) is a Legal Recruitment consultancy based in London and North Wales, covering the whole of the UK with particular specialism in small to medium sized practices. We have over 7,000 solicitors registered and looking for work and 5 consultants at any one time handling the vacancies we receive from the broad mix of customers we service between high street practices, commercial firms, niche practices and larger Legal 500 and Magic Circle firms. Law firms can post vacancies free of charge and also pay for unlimited access to recruit over 12 months if preferred. For further details please visit http://www.ten-percent.co.uk/.